Surrounded by the Pacific Ocean and San Francisco Bay, San Francisco is one of the popular destinations for people all around the world. Better known for its foggy weather and world-famous Golden Gate Bridge, this northern Californian city is packed with ample attractions and places to visit. Therefore, exploring San Francisco in 24 hours can become your most impactful trip ever. My friend was going to San Francisco on a one-day business trip. Eager to finally explore the City by the Bay, I quickly invited myself to accompany him. I wish we had more time. Nevertheless, we did the best with the time we had at hands. 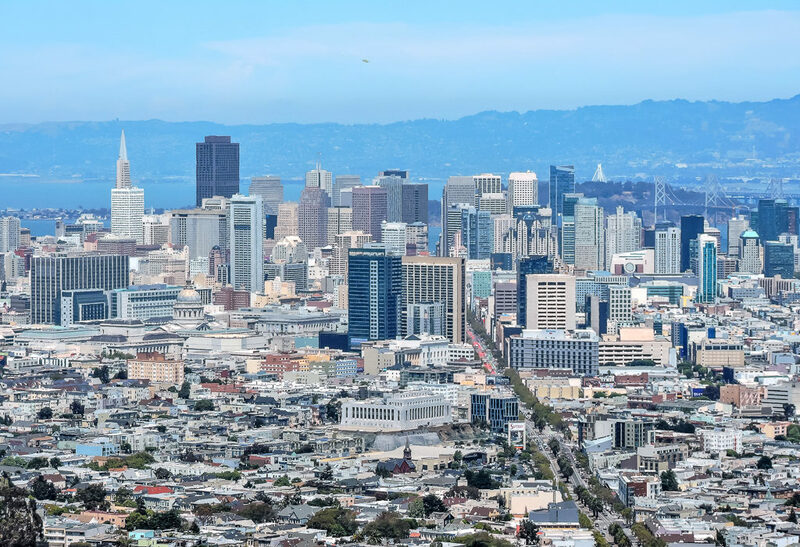 Here is the list of the places that you don’t want to miss in San Francisco in 24 hours. The most internationally recognized landmark, the Golden Gate Bridge is the first place you want to see in San Francisco in 24 hours. This suspension bridge with its bright orange color, the Art Deco styling, and signature towers extends 700 feet above and 100 feet beneath the water. You can literally spend hours after hours here walking or biking on the sidewalks of the bridge during daylight hours. However, enjoying breathtaking views and taking tons of pictures from designated vista points might become your favorite thing to do. 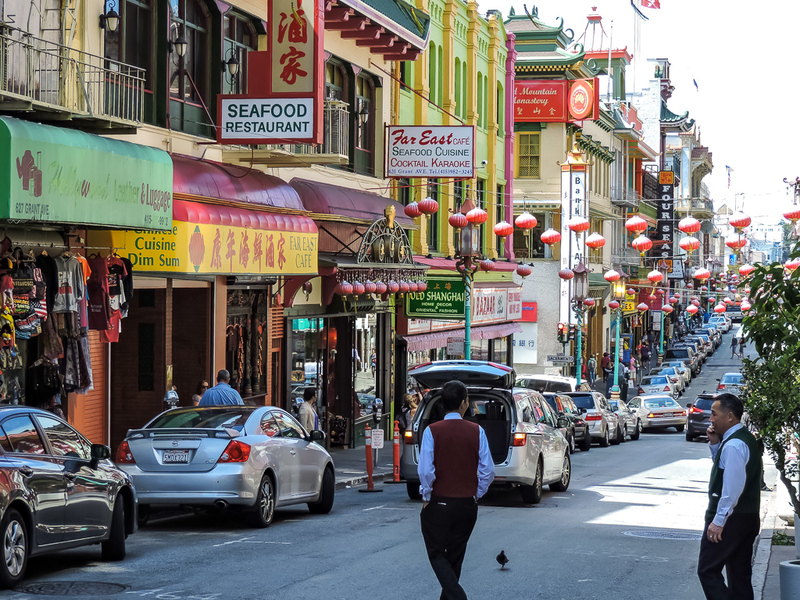 You can’t adventure through San Francisco in 24 hours without paying a visit to Chinatown, the largest Chinese community outside Asian. 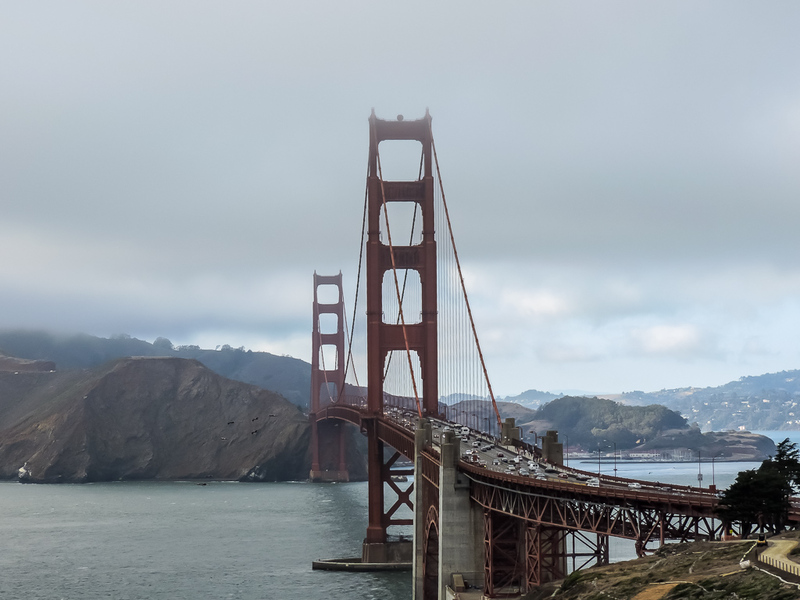 Surprisingly, unique cultures, customs, languages, temples, and other places of worship attract more visitors annually than the Golden Gate Bridge. In order to explore this area, you can take walking tours or just let yourself get lost on the alleys and streets of Chinatown. Spend some time discovering cute souvenir and herbal shops, antique stores, and restaurants with foods that will make you want to come back. Above all, don’t forget to take a pictures of Dragon Gate, the most photographed structure in Chinatown. 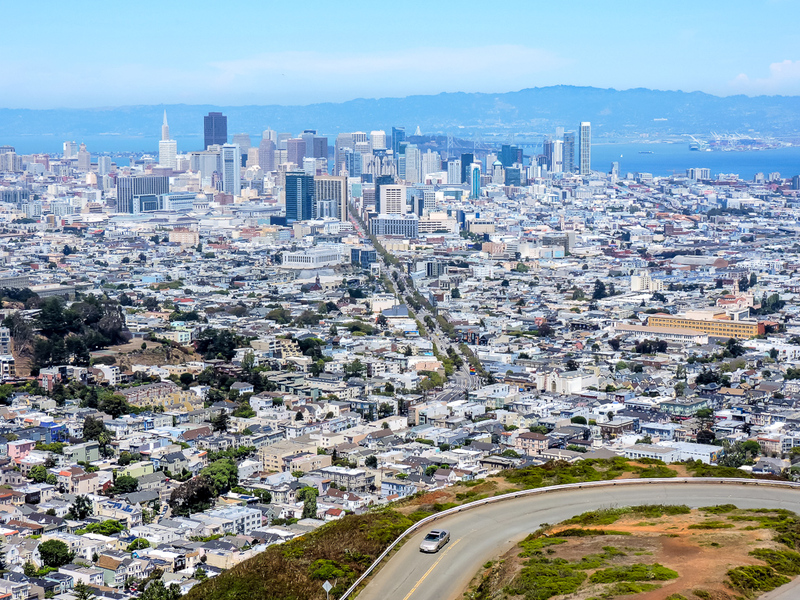 San Francisco is notable for the steepest streets in the United States. Lombard Street, however, will blow your mind. 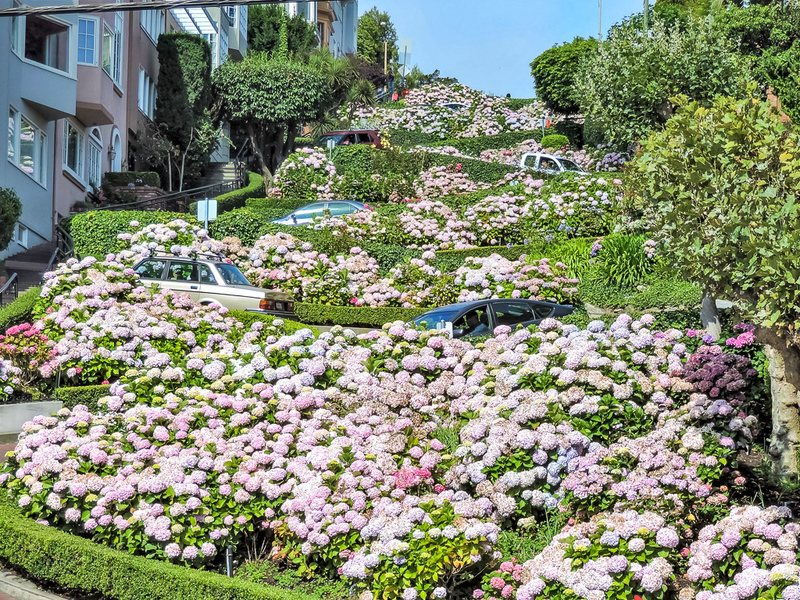 As steep as many other places in the city, this scenic street with beautiful flowerbeds is considered world’s crookedest street. Moreover, it might rightfully claim its place as a highlight of your visit to San Francisco in 24 hours. Fisherman’s Wharf is another popular tourist attraction. It features some of the most entertaining places you don’t want to miss in San Francisco in 24 hours. 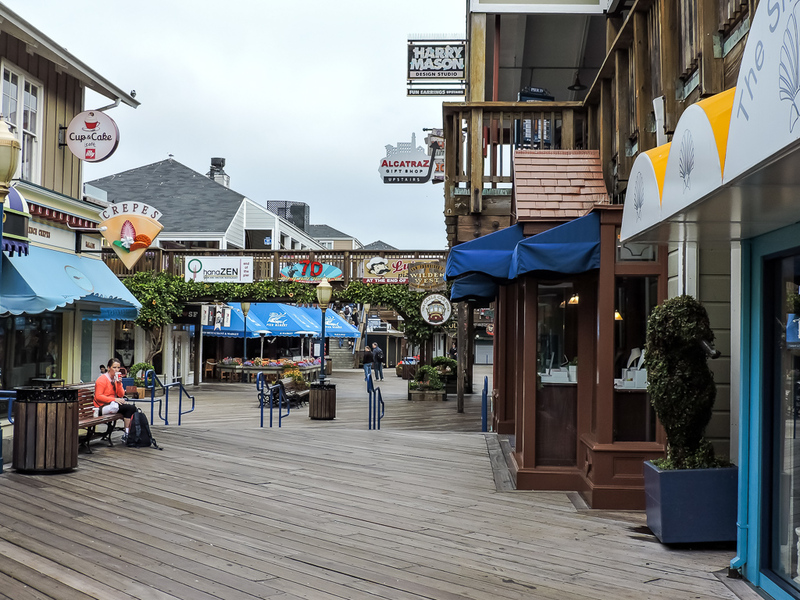 This includes Pier 39, the Cannery Shopping Center, Ghirardelli Square, Wax Museum, San Francisco Maritime National Historical Park, fishing boats, and plenty of seafood restaurants and souvenir shops. And don’t leave the Fisherman’s Wharf without taking an Alcatraz tour or Bay Cruise. However, make sure to buy your tickets in advance since the tours are often sold out months ahead of time. Union Square is one-block plaza with its surrounding area. If you are on a major shopping mission, this is a place where you want to spend most of your 24 hours in San Francisco. Here you will find the largest collection of department stores, gift and souvenir shops, boutiques, beauty salons, and art galleries in the country. After the shopping is over, you can grab a bite in a beautiful park nearby. 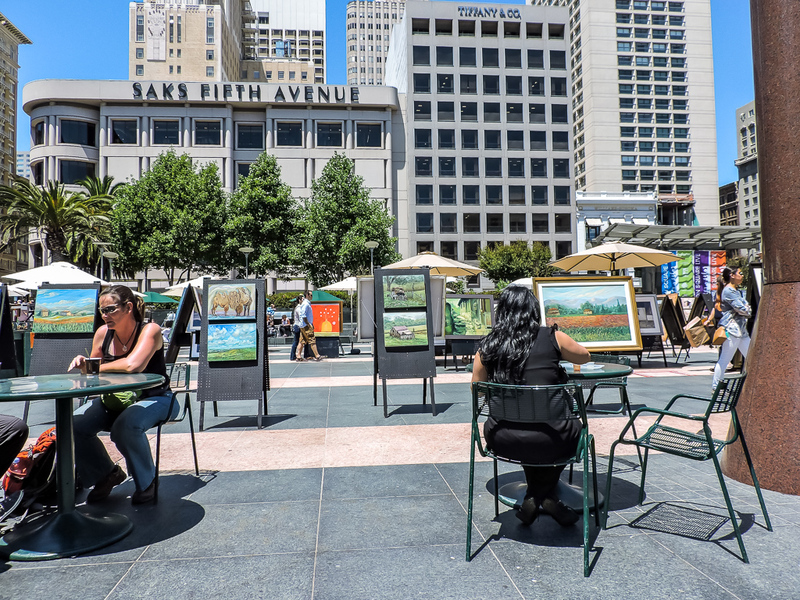 Union Square is also a permanent residence of one of the Hearts in San Francisco, inspired by Tony Bennett song “I left My Heart in San Francisco”. 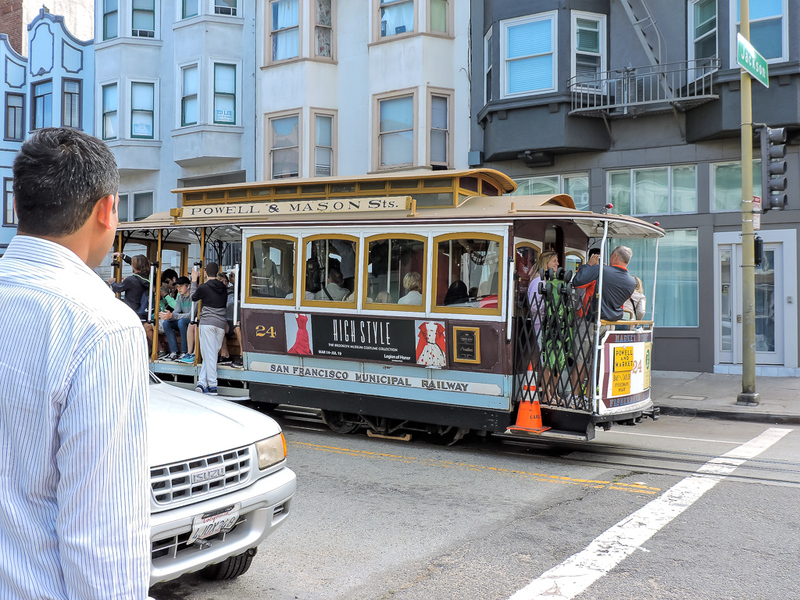 When exploring San Francisco in 24 hours, you absolutely must take a ride on a cable car, the last manually operated cable car system in the world. The old transport is equally popular among tourists and locals. Riding the cable cars will give you plenty of opportunities to see the iconic views of the city. For history lesson, make sure to visit the Cable Car Museum, where you can see historic cable cars and buy some gifts. The row of Victorian houses at 710-720 Steiner Street across from Alamo Square park is better known as “Painted Ladies” or Postcard Row. These colorful architectural wonders are one of the places you definitely want to see in San Francisco in 24 hours. 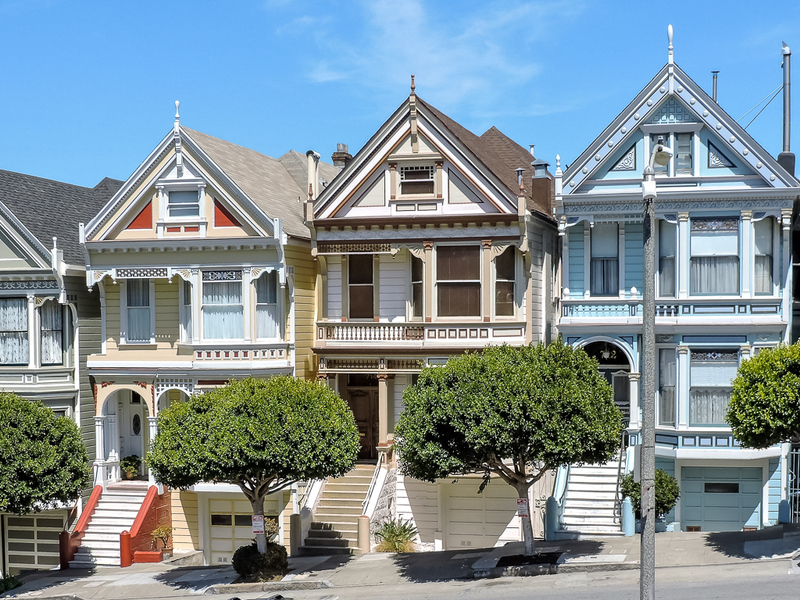 Painted Ladies belong to the most photographed places in the city. On top of that, fans of the popular TV show “Full House” will recognize this place as the home of the Tanners. Is it even possible to spend 24 hours in San Francisco without admiring it from above? Twin Peaks is a place where you can enjoy breathtaking view of this gorgeous city. The Golden Gate Bridge, Bay Bridge, Alcatraz, downtown with its skyscrapers that were featured in a good amount of movies… You need to see it yourself, pictures don’t do it justice. I live in SF! Amazed that you got to know all the main points of the city in just 24 hours! And Im glad you went on a day without so much fog. Thank you, Jade! You are right, it was such a sunny day that we were able to see all these places and take a lot of pictures. I see interesting posts here.